Does your smartphone support Bluetooth but Becker stereo does not? Due to their lack of support for more attractive modern media formats, many Euro radio owners have replaced the Becker Radio. Those adamant about hanging on to the Becker radio we offer a line of adapters sure to open up a whole lot of different options for listening to music and other audio content. This custom kit integrates Smartphones to select Becker radios using Bluetooth Technology and Voice Recognition application (Siri or Google Now etc.) to initiate hands-free calling, launch Navigation, music streaming etc and because its custom; everything required is inquired for a quick plug-n-play install. In addition radio will mute audio system when a call is initiated or received and directs call through car speakers and system returns to previous mode when call has ended. 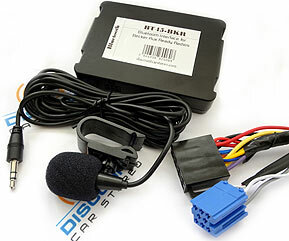 A wired microphone and wireless remote control button are included to initiate phone calls, launch important audio and text applications. » Works on all Becker radios with "AUX" menu option (please check menu options). » Auto- reconnect upon entering vehicle. 8. CD Changer (if present) must be disconnected. Click installation link below. Avoid costly returns. Click here for installation Guide and FAQ. 1. Becker CR-210, CDR-210, PCM1 are not compatible. See the BKRCD-HF. 2. 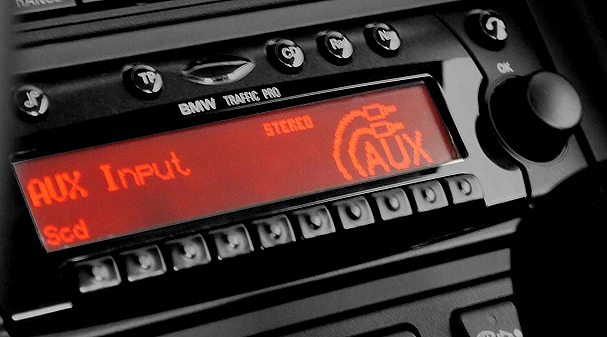 Radio AUX function and "AUX" mode must be enabled. Click installation link for details.